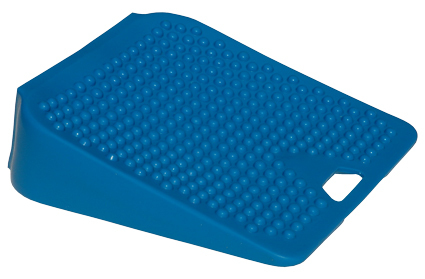 The Move 'n' Sit Air Cushion is trusted by hundreds of teachers and occupational therapists throughout the UK. The Move 'n' Sit is an air-filled seat wedge that is similar to sitting on a Gym Ball (or balloon). Used when sitting in a chair, the wedge shape and unevenness of the cushion adds an element of instability, keeping your body in motion and enhancing stomach and back muscles. It is designed to promote active sitting. The active sitting motion uses more stress on your stomach muscles rather than your lower back. Overtime, your stomach will be much stronger and be able to absorb the pressure on your back that sitting for long periods of time can cause. 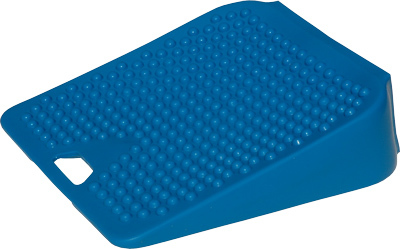 The Move 'n' Sit Air Cushion is made of tough, durable, latex-free PVC vinyl that is almost indestructible! 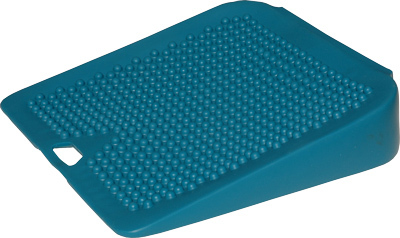 The Move 'n' Sit is an air-filled seat wedge that is similar to sitting on a Gym Ball (or balloon). Used when sitting in a chair, the wedge shape and unevenness of the cushion adds an element of instability, keeping your body in motion and enhancing stomach and back muscles. It is designed to promote active sitting.